The water temperature is maintained at an optimal 25 degrees Celsius. 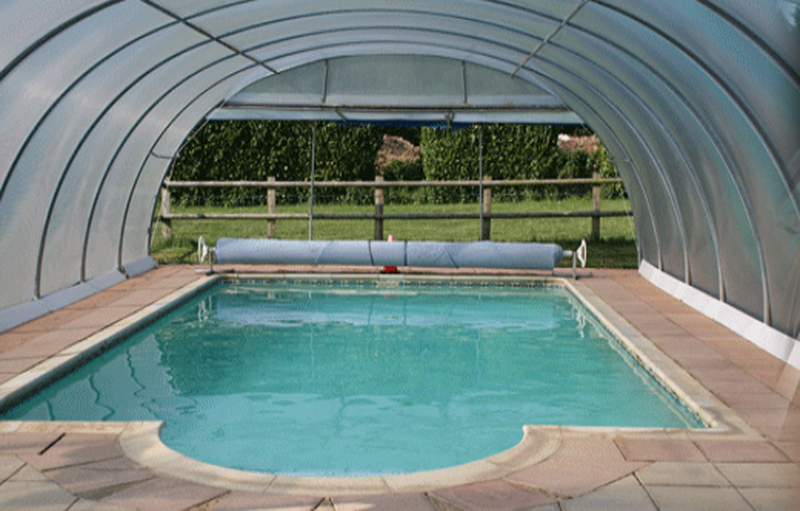 The pool is available all year round, you can book either a 30 minute session or a one hour session. You are more than welcome to bring your costume and get in with your dog(s). We have buoyancy jackets and safety leads to help assist your dog. We also have a drying room on site with access to towels, hair dryer and a blaster. If you would like to book a swim session give us a call on 01494 881521. Let us know what day you would like to swim and we can let you know what times are available. We also have a block of swims available, where you pay for 9 swims for 30 minutes and get the 10th session free. Hairy breeds are charged an extra £1.00 due to extra cleaning of the pool. Our pool is not for medical purposes only; we welcome everyone to use it for fun. If you do need to use it for medical purposes, then check out the details of our freelance hydro therapist below. James is a qualified hydro therapist who uses our pool to help his own patients. He has an ABC Level 3 Qualification in Hydrotherapy for small animals. James’s prices are different to ours here at the kennels so you would have to phone or email him to book and enquire about prices. James does require a vet referral before he can help you. Pets birthdays, family celebrations or just a fun packed, crazy afternoon with friends & family and of course your 4-legged friends!! Read more about our Pool Party Hire for your dog(s) here.